These little hoops are so chic! 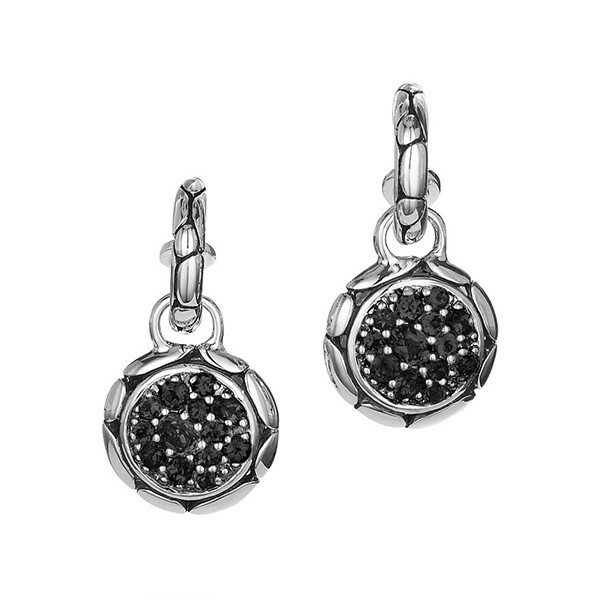 From John Hardy's Kali collection, sterling silver hoops are handcrafted with the pebble motif, and each earring holds a sterling silver disc detailed with beautiful black sapphires. Keeping versatility in mind, these silver discs can be removed if you just want silver hoops, which is a staple for every woman's collection. These hoops also have post backs for comfort. Double your fashion pleasure with these fabulous drop hoop earrings!